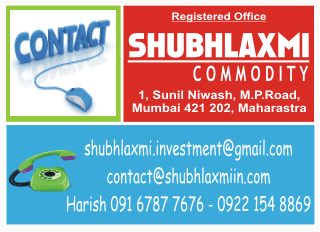 MCX Zinc has been in an up trend. However it has now reached a crucial hurdle ie the long term falling trendline. Surpassing the trendline in this attempt seems to be a Herculean task for the bulls as they are lacking the necessary support from momentum. The daily momentum indicator is in the positive, however it is showing negative divergence. Thus unless Rs110 is crossed on a closing basis Zinc can undergo a correction. The correction is expected to bring the metal down to the medium term rising trendline (Rs104).